If you travel a lot or like to have all your make up 'go to' products with you at once, you'll know what a pain it can be lugging everything about - I've lost count of the amount of times I've ended up a broken blush at the bottom of my bag, or eyeliner all over my purse... not ideal. So, after receiving the Multi Facet Palette in Semblance as a Christmas present, I thought it was about time I told you about this uh-mazing multi-tasking face palette. 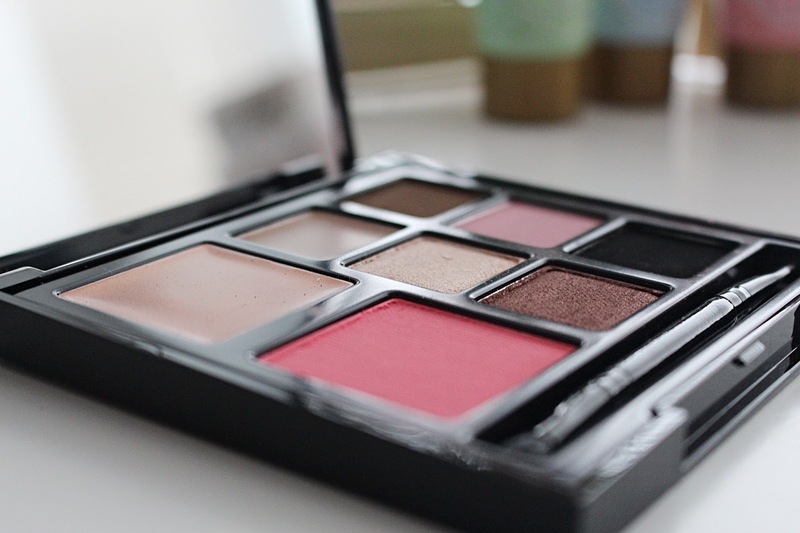 I've got a couple of multi-tasking palettes - and to be honest, none of them ever really did it all - until this beauty from Illamasqua came into my life. I find most 'multi' palettes just feature a tonne of mismatched, hard-to-wear shades - but not Illamasqua's Semblance Palette. This baby has everything you need (bar mascara, lippy and foundation) to get your look perfected. It comes with eight fab products - a cream highlight, a powder blush, a shade for contour, an eyebrow colour, three eye shades and even a liner shade. The best thing about it? All of the colours in here are shades I wear regularly, and so since getting the palette it's been used a great deal. Lately I've been wearing the two shimmery eye shadow shades on my eyes and think they look amazing together (I've had lots of compliments too). 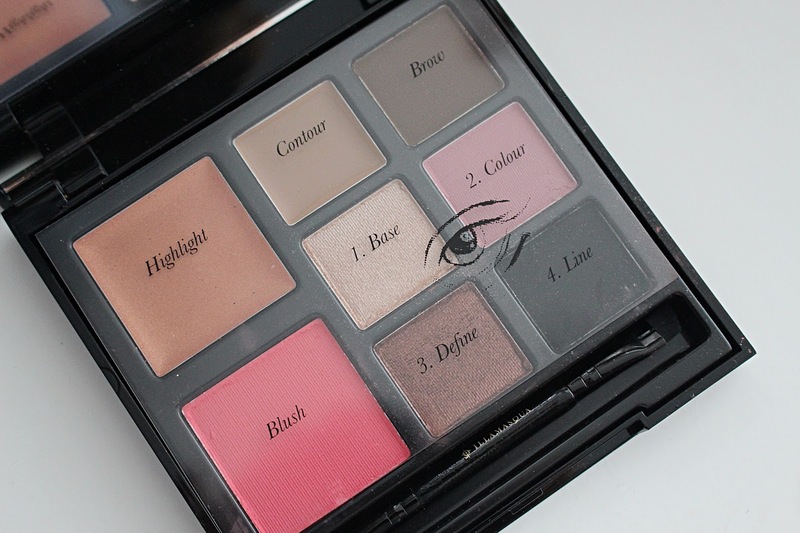 In terms of formula the eye shadows blend beautifully and are really nice and easy to work with. The eyeshadow shade is fab - it's their infamous Eyebrow Cake in Thunder, which is a great powder that stays put all day. I'll admit I've not really used the liner much, but it is what it is and it's great that Illamasqua have included a liner in the palette - it's a seriously blacker-than-black shade too. The contour shade is the most perfect shade to contour with for me, and it's so nice to have a go-to contour shade now, instead of having to faff around with dark foundations and concealers. I'm not a big fan of cream highlights which is a shame as this is a stunning shade, but I find it needs layering up to get the kind of highlight I like - it's very subtle. Finally, the blush shade is incredible and a tiny bit goes a long way - I cannot wait to rock this shade with a tan over the summer months. 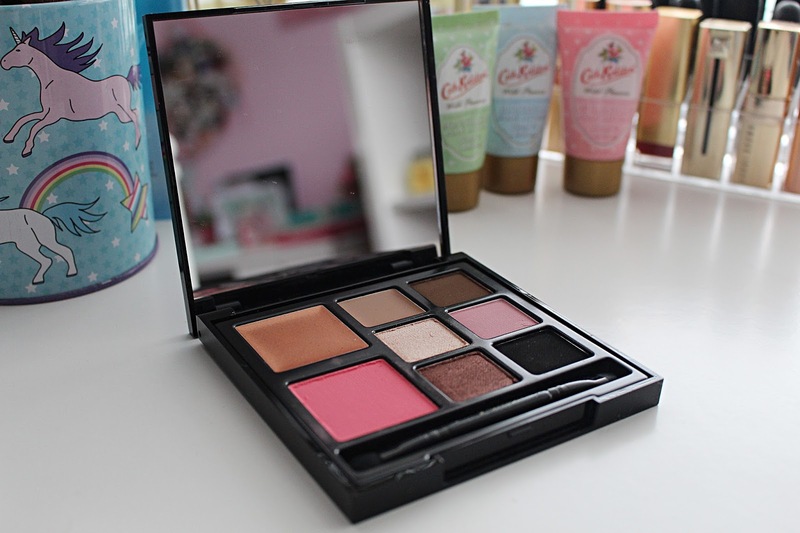 Overall I think this palette is fantastic and a must-have 'on the go' product. It makes putting on my face in the morning that little bit easier as everything is in one place, and it's the perfect palette for frequent travellers - I go back to my parents' house most weekends so it's nice to be able to through this in my bag and be good to go. 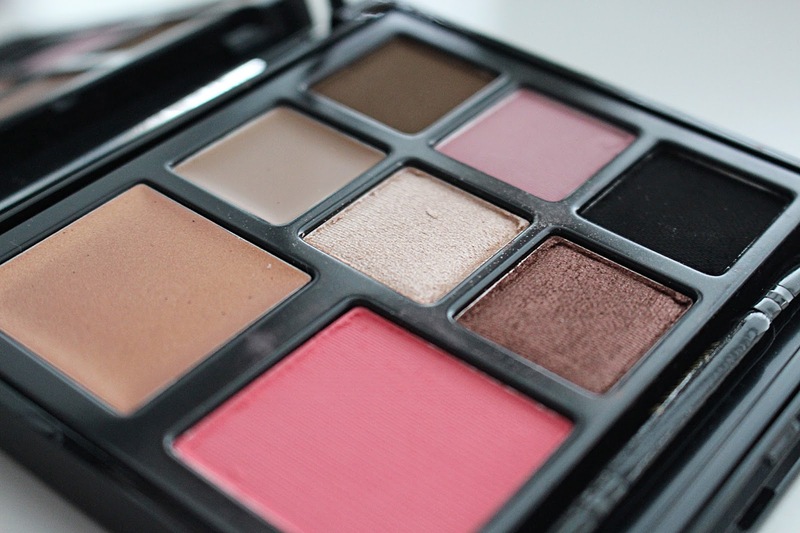 Have you tried any of Illamasqua's Multi Facet Palettes? Let me know what you thought!